Familiarity in music has been reported as an important factor modulating emotional and hedonic responses in the brain. Familiarity and repetition may increase the liking of a piece of music, thus inducing positive emotions. Neuroimaging studies have focused on identifying the brain regions involved in the processing of familiar and unfamiliar musical stimuli. However, the use of different modalities and experimental designs has led to discrepant results and it is not clear which areas of the brain are most reliably engaged when listening to familiar and unfamiliar musical excerpts. In the present study, we conducted a systematic review from three databases (Medline, PsychoINFO, and Embase) using the keywords (recognition OR familiar OR familiarity OR exposure effect OR repetition) AND (music OR song) AND (brain OR brains OR neuroimaging OR functional Magnetic Resonance Imaging OR Position Emission Tomography OR Electroencephalography OR Event Related Potential OR Magnetoencephalography). Of the 704 titles identified, 23 neuroimaging studies met our inclusion criteria for the systematic review. After removing studies providing insufficient information or contrasts, 11 studies (involving 212 participants) qualified for the meta-analysis using the activation likelihood estimation (ALE) approach. Our results did not find significant peak activations consistently across included studies. Using a less conservative approach (p < 0.001, uncorrected for multiple comparisons) we found that the left superior frontal gyrus, the ventral lateral (VL) nucleus of the left thalamus, and the left medial surface of the superior frontal gyrus had the highest likelihood of being activated by familiar music. On the other hand, the left insula, and the right anterior cingulate cortex had the highest likelihood of being activated by unfamiliar music. We had expected limbic structures as top clusters when listening to familiar music. But, instead, music familiarity had a motor pattern of activation. This could reflect an audio-motor synchronization to the rhythm which is more engaging for familiar tunes, and/or a sing-along response in one’s mind, anticipating melodic, harmonic progressions, rhythms, timbres, and lyric events in the familiar songs. These data provide evidence for the need for larger neuroimaging studies to understand the neural correlates of music familiarity. Music is ubiquitous in human culture and has been present since prehistorical times (Conard et al., 2009). Music does not appear to have a survival value, yet most of the current literature has pinpointed it as a fundamental aspect of human life, describing it as a “universal reward” (Trehub et al., 2005). People often value music for the emotions it generates (Juslin and Laukka, 2004; Brattico and Pearce, 2013), and listening to music can help to regulate mood and increase well-being (Hills and Argyle, 1998; Kawakami et al., 2014). This might explain the use of music in people’s everyday lives (Schäfer and Sedlmeier, 2010). Familiarity or repeated exposure in music has been reported as an important factor modulating emotional and hedonic responses in the brain (Pereira et al., 2011). The familiarity principle, also known as the “mere exposure effect,” was first described by Zajonc (1968). It is a psychological phenomenon which suggests that the more exposed we are to someone or something, the more we like it. Repetition in music can be of different types: within a piece, across pieces, or across multiple hearings (Margulis, 2013). Both familiarity and repetition may increase the liking of a piece of music, thus inducing positive emotions (Witviliet and Vrana, 2007; Omar Ali and Peynircioglu, 2010). Long before its description in 1968, the phenomenon of familiarity had been known by social psychologists and applied to the music field (King and Prior, 2013). The first person who documented it was Meyer in 1903. He presented his subjects with a dozen repetitions of unfamiliar music that he had composed. After listening to the last repetition, most subjects asserted that “the aesthetic effect was improved by hearing the music repeatedly” (Meyer, 1903). Moreover, Meyer showed that melodies which ended on the frequency ratio symbol 2 (the Lipps-Meyer Law) was preferred to all other melodies. However, this law was later on disputed by Paul Farnsworth, his student, who argued that interval ending preferences could be altered by training. Therefore, repetition and familiarity with a specific ratio ending could increase preference for that specific ending. This effect, explaining the perception of music closure, was called the “habit principle” (Farnsworth, 1926). Overall, it seems familiarity deepens the understanding of music and engagement with music listening (King and Prior, 2013). However, according to numerous studies, the relationship between exposure and enjoyment is non-linear, following an inverted-U shape preference response. Repeated exposure to music can increase pleasure (“hedonic value”) for a certain period, but ultimately gives rise to increasing displeasure (Jakobovits, 1966; Berlyne, 1971; Szpunar et al., 2004; Schellenberg, 2008). There are different explanations for the inverted U-shape preference response. One is the perceptual fluency model (Bornstein and D’Agostino, 1994) which explains that people incorrectly assume that the facilitated processing of a familiar stimulus is associated to some positive attribute of the stimulus itself. However, as the conscious recognition of fluency processing increases, they stop misattributing this effect to the stimulus but to repeated exposure, and therefore pleasure decreases. Another explanation proposed by Berlyne (1971) states that the inverted U reflects the “interaction of two opposing impulses:” the ascending part arises from an evolutionary conditioned preference for the familiar (positive learned safety effect), and the subsequent decline of the U favors for novelty seeking (aversion to boredom). Moreover, the complexity of the stimulus also influences the timescale of satiation effect. According to Szpunar et al. (2004), despite initial increases in liking, after the stimulus complexity has been absorbed, boredom intercedes, and satiation reduces likability. Familiarity is a complex subject and the neural mechanisms underlying this memory phenomenon toward music listening are still not very clear or consistent. Some authors define familiarity as a semantic memory process, which is a declarative knowledge (e.g., words, colors, faces, or music) acquired over a lifetime. Musical semantic memory is defined as the long-term storage of songs or musical excerpts, which enables us to have a strong feeling of familiarity when we listen to music (Groussard et al., 2010a). Brain lesion studies showed that music semantic memory appears to involve both hemispheres; however, the integrity of the left hemisphere is critical, suggesting functional asymmetry favoring the left hemisphere for semantic memory (Platel et al., 2003). Neuroimaging studies featuring musical semantic memory have reported the involvement of the anterior part of the temporal lobes, either in the left hemisphere or bilaterally, and the activation of the left inferior frontal gyrus (Brodmann area (BA) 47) (Plailly et al., 2007). Groussard and her co-workers also found activation of the superior temporal gyri (BA 22). The right superior temporal gyrus is mostly involved in the retrieval of perceptual memory traces (information about rhythm and pitch), which are useful for deciding whether or not a melody is familiar. The left superior temporal gyrus seems to be involved in distinguishing between familiar and unfamiliar melodies (Groussard et al., 2010a). Plailly et al. (2007) also addressed the neural correlates of familiarity and its multimodal nature by studying odors and musical excerpts stimuli. These were used to investigate the feeling of familiarity and unfamiliarity. Results for the feeling of familiarity indicated a bimodal activation pattern in the left hemisphere, specifically the superior and inferior frontal gyri, the precuneus, the angular gyrus, the parahippocampal gyrus, and the hippocampus. On the other hand, the feeling of unfamiliarity (impression of novelty) of odors and music was related to the activation of the right anterior insula (Plailly et al., 2007). Janata (2009) studied the neural correlates of music-evoked autobiographical memories in healthy individuals and those with Alzheimer disease. His findings showed that familiar songs from our own past can trigger emotionally salient episodic memories and that this process is mediated by the medial prefrontal cortex (MPFC). In the same study, hearing familiar songs also activated the pre-supplementary motor area (SMA), left inferior frontal gyrus, bilateral thalamus, and the right cerebellar hemisphere (Janata, 2009). Brain imaging studies in the neurobiology of reward during music listening demonstrated the involvement of mesolimbic striatal areas, especially the nucleus accumbens (NAcc) in the ventral striatum. This structure is connected with subcortical limbic areas such as the amygdala and hippocampus, insula and anterior cingulate cortex, and also integrated with cortical areas including the orbital cortex and ventromedial prefrontal cortex. These limbic and paralimbic structures are considered the core structures of emotional and reward processing (Koelsch, 2010; Salimpoor et al., 2013; Zatorre and Salimpoor, 2013). Recently, Pereira et al. (2011) investigated familiarity and music preference effects in determining the emotional involvement of the listeners and showed that familiarity with the music contributed more to the recruitment of the limbic and reward centers of the brain. Electroencephalography (EEG) is another neuroimaging technique that enabled us to address the brain’s response to stimuli. It provides a real-time picture of neural activity, recording how it varies millisecond by millisecond. Time-locked EEG activity or event-related potential (ERP) are small voltages generated in the brain structures in response to specific sensory, cognitive or motor event (Luck, 2005). With regards to auditory stimuli—and, more specifically, to music listening and recognition—the N1, P200, P300, and N400 waves have been found to be particularly important. N1, a negative component found 80–110 ms after stimulus onset, is thought to represent the detection of a sound and its features, as well as detection of change of any kind (pitch, loudness, source location etc.) (Näätänen and Picton, 1987; Seppänen et al., 2012). It originates in the temporal lobe, predominantly in or near the primary auditory cortex, suggesting that it is involved in early phases of information processing (Hyde, 1997). Secondly, P2 is a positive component that arises 160–200 ms after the onset of the stimulus (Seppänen et al., 2012) and is localized in the parieto-occipital region (Rozynski and Chen, 2015). It is involved in evaluation and classification of the stimulus (Seppänen et al., 2012) as well as other related cognitive processes, such as working memory and semantic processing (Freunberger et al., 2007). P3, instead, is considered to be more related to selective attention and information processing, such as recognition and memory processes. It is traditionally divided into P3a, arising in the frontal region, and P3b, arising in the temporal and parietal regions; it appears 300–400 ms after the stimulus and lasts 300–600 ms (Patel and Azzam, 2005). However, its timing can vary widely, so it is often described as the late positive complex (LPC), a definition which also includes later deflections, such as P500 and P600 (Finnigan et al., 2002). Finally, N400 arises 200–600 ms after the stimulus, but its anatomical localization has not been well defined since it does not seem to be related to a specific mental operation only. Indeed, it seems to be connected to the processing of meaning at all levels, since it is influenced by factors acting both at lower and at higher levels of these cognitive processes (Kutas and Federmeier, 2011). Advances in brain imaging techniques have facilitated the examination of music familiarity processing in the human brain. Nevertheless, the use of different modalities and experimental designs has led to differing results. Over the years, studies have used varying music stimuli such as melodies, songs with and without lyrics, with diverse acoustic complexity. Due to this heterogeneity, it is not clear which areas are most reliably engaged when listening to familiar and unfamiliar songs and melodies. Following advances in robotic rehabilitation, there have been many efforts to investigate the recovery process and effectiveness of robotic rehabilitation procedures through monitoring the activation status of the brain. This work presents the development of a two degree-of-freedom (DoF) magnetic resonance (MR)-compatible hand device that can perform robotic rehabilitation procedures inside an fMRI scanner. The device is capable of providing real-time monitoring of the joint angle, angular velocity, and joint force produced by the metacarpophalangeal (MCP) and proximal interphalangeal (PIP) joints of four fingers. For force measurement, a custom reflective optical force sensor was developed and characterized in terms of accuracy error, hysteresis, and repeatability in the MR environment. The proposed device consists of two non-magnetic ultrasonic motors to provide assistive and resistive forces to the MCP and PIP joints. With actuation and sensing capabilities, both non-voluntary–passive movements and active–voluntary movements can be implemented. The MR compatibility of the device was verified via the analysis of the signal-to-noise ratio (SNR) of MR images of phantoms. SNR drops of 0.25, 2.94, and 11.82% were observed when the device was present but not activated, when only the custom force sensor was activated, and when both the custom force sensor and actuators were activated, respectively. Every year, approximately 795,000 people in the United States are affected by stroke and 2.8 million lives are impacted by traumatic brain injury (TBI) (1). Stroke and TBI are also major causes of serious long-term disability, reducing mobility, and impacting thinking, memory, sensation, and emotional functioning. Neuroscience holds great promise in addressing the needs of persons with a history of stroke or TBI by improving the current understanding of brain injury and recovery mechanisms. This is the first step in working to inform and improve the available treatments. While a great many functional neuroimaging methods exist for studying the healthy brain, such methods have not received widespread acceptance in characterizing patient groups. Several methodological barriers may explain why. First, patient populations can be diverse in terms of injury location and stages of recovery. Accurate measurement and interpretation of functional neuroimaging signal in the damaged brain can also pose a challenge, because stroke and TBI can dramatically alter cerebral blood flow, even in areas that are not affected by a structural lesion (2, 3). Finally, correct interpretation of findings in light of impaired and/or changing behavioral function depends on careful experimental design and precise a priorioperational definitions of the anticipated effects. Despite these challenges, or, perhaps, because of them, functional neuroimaging is a promising area of investigation in TBI and stroke. This Research Topic is a collection of original research and review articles focused on functional neuroimaging in persons with TBI and stroke. Below, we highlight a few of the most notable findings and ideas from this collection of articles. Readers are encouraged to access the full text articles for more details. In one of the two review articles, Medaglia provides an overview of fMRI methodology, analyses, and the caveats of applying these analyses to the injured brain. 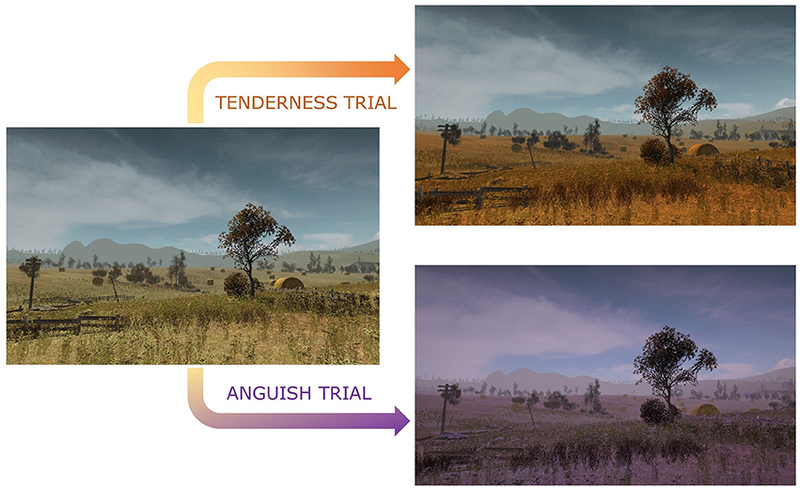 This includes methods, such as seed-based and voxel-based functional connectivity, effective connectivity, including psychophysiological interactions, causal connectivity, and graph analyses. Medaglia discusses the concept of functional re-organization. The term is sometimes used to describe a change in the magnitude of activation or of functional connectivity. It is also used to refer to a re-allocation of function to new brain areas following injury. Medaglia suggests that to improve clarity a precise description of the effect should be provided. Formal tests of re-organization should include a search for areas with activity profile closely resembling that of a damaged area, and with corresponding evidence of recovered behavioral function. Distinguishing different innate recovery mechanisms is especially important in intervention studies, because failing to understand which process may be at work when introducing an intervention, may lead to inadvertent interference with endogenous repair mechanisms. Nair et al. studied brain activation in acute stroke and healthy older controls participants during a covert verbal fluency task. They controlled for the blood oxygen level dependent (BOLD) response variability across participants using resting state fluctuation amplitude (RSFA) (4). RSFA calibration is thought to eliminate any inter-subject variability due to vascular factors and retain any differences due to neuronal activation factors. They found that after scaling, the BOLD response differences between stroke patients and healthy controls were eliminated. This finding suggests that some of the group differences were due to vascular variables. Additionally, some fine-tuning may be required when scaling with RSFA, perhaps scaling by brain region, rather than across the whole brain. Bernier et al. applied graph theory to a data set of healthy and TBI subjects with moderate/severe TBI. Their aim was to determine if loss of network differentiation accounts for changes in brain connectivity, specifically hyperconnectivity. This hypothesis was examined within the default mode (DMN) and the task positive network. Supporting other results in the field, they observed hyperconnectivity within the DMN and task positive networks. DMN hyperconnectivity was found to be associated with higher scores on the standardized working memory measure. Thus, the work of these authors demonstrates how fMRI and connectivity analyses can inform the cognitive profile observed following TBI. The second review in the Research Topics explores a common deficit in TBI. Namely, cognitive control, an executive function that is generally necessary for switching between habitual and goal-directed behavior. In his review, Scheibel talks about functional neuroimaging studies of cognitive control in mild TBI (mTBI). The review draws attention to how the fMRI findings are mixed, with reports of decreased as well as increased brain activation in mTBI, and urges for future studies to aim at recruiting more homogenous samples, as the mixed findings might be explained by the presence of comorbidies in TBI samples. The original research article by Saleh et al. explored how different approaches to rehabilitation of hand function after stroke can alter brain activity across the sensorimotor brain networks and demonstrates network re-organization discussed in the Medaglia review. Both treatment approaches tested in the study improved hand function. However, only the robot-assisted virtual reality group showed reduction of activity and re-lateralization of activation to ipsilesional cortex, a pattern associated with better arm function in this study and with positive recovery in other studies (5). A contribution by Möller et al. used arterial spin labeling (ASL) fMRI to examine fatigue in mTBI during psychomotor vigilance task performance. The mTBI participants showed different patterns of brain activation compared to healthy controls, in addition to higher self-reported fatigue and reductions in performance as the task progressed (fatigability). Together with the self-reported fatigue ratings and task performance, the ASL results suggested the engagement of disparate functional networks compared in mTBI. 1. Centers for Disease Control and Prevention (CDC). U. Centers for Disease con [WWW Document]. (2018). Available from: https://www.cdc.gov/ (Accessed: February 22, 2018). A highly critical issue for applied neuroimaging in neurology—and particularly for functional neuroimaging—concerns the question of validity of the final clinical result. Within a clinical context, the question of “validity” often equals the question of “instantaneous repeatability,” because clinical functional neuroimaging is done within a specific pathophysiological framework. Here, not only every brain is different but also every pathology is different, and most importantly, individual pathological brains may rapidly change in short time. Within the brain mapping community, the problem of validity and repeatability of functional neuroimaging results has recently become a major issue. In 2016, the Committee on Best Practice in Data Analysis and Sharing from the Organization for Human Brain Mapping (OHBM) created recommendations for replicable research in neuroimaging, focused on magnetic resonance imaging and functional magnetic resonance imaging (fMRI). Here, “replication” is defined as “Independent researchers use independent data and … methods to arrive at the same original conclusion.” “Repeatability” is defined as repeated investigations performed “with the same method on identical test/measurement items in the same test or measuring facility by the same operator using the same equipment within short intervals of time” (ISO 3534-2:2006 3.3.5). An intermediate position between replication and repeatability is defined for “reproducibility”: repeated investigations performed “with the same method on identical test/measurement items in different test or measurement facilities with different operators using different equipment” (ISO 3534-2:2006 3.3.10). Further definitions vary depending on the focus, be it the “measurement stability,” the “analytical stability,” or the “generalizability” over subjects, labs, methods, or populations. – Patient compliance may change quickly and considerably. – The patient may “change” from 1 day to the other (altered vigilance, effects of pathology and medication, mood changes—depression, exhaustion). – The clinical state may “change” considerably from patient to patient (despite all having the same diagnosis). This is primarily due to location and extent of brain pathology and compliance capabilities. – Selection of clinically adequate experimental paradigms (note paresis, neglect, aphasia). – Performance control (particularly important in compromised patients). – Restriction of head motion (in patients artifacts may be very large). – Clarification of the signal source (microvascular versus remote large vessel effects). – Large variability of the contrast to noise ratio from run to run. – Errors with inter-image registration of brains with large pathologies. – Effects of data smoothing, definition of adequate functional regions of interest, and definition of essential brain activations. – Difficult data interpretation requires specific clinical fMRI expertise and independent validation of the local hardware and software performance (preferably with electrocortical stimulation). All these problems have to be recognized and specific solutions have to be developed depending on the question at hand—generation of an individual functional diagnosis or performance of a clinical group study. To discuss such problems and define solutions, clinical functional neuroimagers have already assembled early (Austrian Society for fMRI,1 American Society of Functional Neuroradiology2) and just recently the Alpine Chapter from the OHBM3 was established with a dedicated focus on applied neuroimaging. Starting in the 1990s (6), this community published a considerable number of clinical methodological investigations focused on the improvement of individual patient results and including studies on replication, repeatability, and reproducibility [compare (7)]. Early examples comprise investigations on fMRI signal sources (8), clinical paradigms (9), reduction of head motion artifacts (10), and fMRI validation studies (11, 12). Of course the primary goal of this clinical research is improvement of the validity of the final clinical result. One of the suggested clinical procedures focuses particularly on instantaneous replicability as a measure of validity [Risk Map Technique (13–15); see Figure 1] with successful long-term clinical use. This procedure was developed for presurgical fMRI and minimizes methodological assumptions to stay as close to the original data as possible. This is done by avoiding data smoothing and normalization procedures and minimization of head motion artifacts by helmet fixation (avoiding artifacts instead of correcting them). It is interesting to note that in the Eklund et al. (1) analysis it was also the method with minimal assumptions (a non-parametric permutation), which was the only one that achieved correct (nominal) results. The two general ideas of the risk map technique are (a) to use voxel replicability as a criterion for functionally most important voxels (extracting activation foci = voxels with largest risk for a functional deficit when lesioned) and (b) to consider regional variability of brain conditions (e.g., close to tumor) by variation of the hemodynamic response functions (step function/HRF/variable onset latencies) and thresholds. The technique consists only of few steps, which can easily be realized by in house programming: (i) Record up to 20 short runs of the same task type to allow checking of repeatability. (ii) Define a reference function (e.g., step function with a latency of 1 TR). (iii) Calculate Pearson correlation r for every voxel and every run. (iv) Color code voxels according to their reliability at a given correlation threshold (e.g., r > 0.5): yellow voxels >75%, orange voxels >50%, red voxels >25% of runs need to be active. (v) Repeat (i)–(iv) with different reference functions (to our experience, a classical HRF and two step functions with different latencies are sufficient to evaluate most patients) and at different correlation thresholds (e.g., r > 0.2 to r > 0.9). The clinical fMRI expert performs a comprehensive evaluation of all functional maps with consideration of patient pathology, patient performance, and the distribution and level of artifacts [compare descriptions in Ref. (13, 15)]. The final clinical result is illustrated in Figure 1, and a typical interpretation would be: most reliable activation of the Wernicke area is found with a step function of 1 TR latency and shown at Pearson correlation r > 0.5. It is important to note that risk maps extract the most active voxel(s) within a given brain area and judgment of a “true” activation extent is not possible. However, due to the underlying neurophysiological principles [gradients of functional representations (16)], it is questionable whether “true” activation extents of fMRI activations can be defined with any technique. Figure 1. Example for a missing language activation (Wernicke activity, white arrow) with a “black box” standard analysis (right, SPM12 applying motion regression and smoothing, voxelwise inference FWE <0.05, standard k = 25) using an overt language design [described in Ref. (17)]. Wernicke activity is detectable with the clinical risk map analysis (left) based on activation replicability (yellow = most reliabel voxels). Patient with left temporoparietal tumor. The methodological developments have been supported by the Austrian Science Fund (KLI455, KLI453, P23611) and Cluster Grants of the Medical University of Vienna and the University of Vienna, Austria. 6. Special Issue Radiologe (1995) 35(4). 7. Stippich C, editor. Clinical Functional MRI. 2nd ed. Berlin Heidelberg: Springer (2015). 15. Beisteiner R. Funktionelle Magnetresonanztomographie. 2nd ed. In: Lehrner J, Pusswald G, Fertl E, Kryspin-Exner I, Strubreither W, editors. Klinische Neuropsychologie. New York: Springer Verlag Wien (2010). p. 275–91. In rhythmical movement performance, our brain has to sustain movement while correcting for biological noise-induced variability. Here, we explored the functional anatomy of brain networks during voluntary rhythmical elbow flexion/extension using kinematic movement regressors in fMRI analysis to verify the interest of method to address motor control in a neurological population. We found the expected systematic activation of the primary sensorimotor network that is suggested to generate the rhythmical movement. By adding the kinematic regressors to the model, we demonstrated the potential involvement of cerebellar–frontal circuits as a function of the irregularity of the variability of the movement and the primary sensory cortex in relation to the trajectory length during task execution. We suggested that different functional brain networks were related to two different aspects of rhythmical performance: rhythmicity and error control. Concerning the latter, the partitioning between more automatic control involving cerebellar–frontal circuits versus less automatic control involving the sensory cortex seemed thereby crucial for optimal performance. Our results highlight the potential of using co-registered fine-grained kinematics and fMRI measures to interpret functional MRI activations and to potentially unmask the organisation of neural correlates during motor control. During rhythmical movement, sensory and motor systems need to interact closely to sustain the rhythm and to meet task requirements. Understanding how our system controls such a basic, all day movement is a prerequisite to improve motor (re)learning models to ameliorate rehabilitation in case of neurological movement disorders, like stroke. Mathematically, the simplest way to model rhythmicity is by means of a continuous oscillator (e.g. Haken et al. 1985). Biological noise interfering with planning and execution makes human movements unavoidably variable, which asks for correction processes (Franklin and Wolpert 2011). One of the principles governing human motor control states that optimised control is characterised by a maximum efficiency, e.g. minimal costs (Guigon et al. 2007). Minimal cost is dependent on the varying interaction between different system characteristics, including anatomical constraints, force generating capacities, and biological noise inducing the intra and interpersonal variability that is inherent to our system’s output (van Galen and Hueygevoort 2000). Current knowledge about the neural correlates of rhythmical upper limb movement is based on standard finger and wrist movement paradigms that compare different movement conditions within people (high frequency versus low frequency, Kelso et al. 1998; rhythmic versus discrete movements, Schaal et al. 2004). Using this paradigm, simple unilateral rhythmical movements have been shown to elicit contralateral activations of the primary sensorimotor cortex (S1 + M1) and of the supplementary motor area (SMA), complemented by an ipsilateral activation of the anterior cerebellum (Allison et al. 2000; Ball et al. 1999; Schaal et al. 2004). Bilateral movements are associated with a symmetric facilitation of neural activity in the sensorimotor network, with additional frontal activations to ensure coordination between limbs. 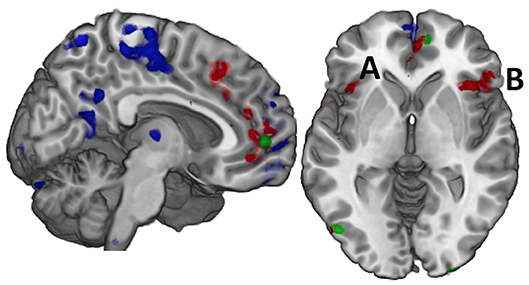 It is mediated by increased intrahemispheric connectivity and enhanced transcallosal coupling of SMA and M1 (Grefkes et al. 2008; Jäncke et al. 2000). The activation pattern is comparable between dominant and non-dominant sided movements in extension and intensity when people move at their preferred frequency (Lutz et al. 2005; Jäncke et al. 2000; Koeneke et al. 2004). However, when movement frequency is imposed, activations during non-dominant sided movements increase in intensity compared to those of the dominant side (Lutz et al. 2005). Second, activation increases and expands for both uni and bilateral movements when movement frequency is increased above the preferred frequency (e.g. Kelso et al. 1998; Rao et al. 1996). Together, this demonstrates that moving at a non-preferred frequency is marked by an increase in costs. Therefore, imposing a fixed frequency may lead to different task-induced cost levels between participants and thus lead to biased results when comparing rhythmical motion and its neural correlates between people. Over the time course of the movement, fine-grained kinematic variables capture the outcome of the interaction between the planned movement and the noise-dependent variability (Newell and Corcos 1993). Here, we explored whether kinematics may additionally provide information on the underlying control system, when the kinematic outcome is linked directly to brain activity. We simultaneously recorded brain activation (fMRI) and movement kinematics during a sensorimotor task that consisted of a self-paced continuous flexion/extension of the elbow. We focused on uni as well as bilateral movements, as many daily living tasks involve bilateral coordination. The task is evaluated as a simple well-known movement that does not require complex motor learning. Objective: To assess the efficacy of inhibitory repetitive transcranial magnetic stimulation (rTMS) and neuromuscular electrical stimulation (NMES) on upper extremity motor function in patients with acute/subacute ischemic stroke. Methods: Twenty-five ischemic acute/subacute stroke subjects were enrolled in this randomized controlled trial. Experimental group 1 received low frequency (LF) rTMS to the primary motor cortex of the unaffected side + physical therapy (PT) including activities to improve strength, flexibility, transfers, posture, balance, coordination, and activities of daily living, mainly focusing on upper limb movements; experimental group 2 received the same protocol combined with NMES to hand extensor muscles; and the control group received only PT. Functional magnetic resonance imaging (fMRI) scan was used to evaluate the activation or inhibition of the affected and unaffected primary motor cortex. Results: No adverse effect was reported. Most of the clinical outcome scores improved significantly in all groups, however no statistically significant difference was found between groups due to the small sample sizes. The highest percent improvement scores were observed in TMS + NMES group (varying between 48 and 99.3%) and the lowest scores in control group (varying between 13.1 and 28.1%). Hand motor recovery was significant in both experimental groups while it did not change in control group. Some motor cortex excitability changes were also observed in fMRI. Conclusion: LF-rTMS with or without NMES seems to facilitate the motor recovery in the paretic hand of patients with acute/subacute ischemic stroke. TMS or the combination of TMS + NMES may be a promising additional therapy in upper limb motor training. Further studies with larger numbers of patients are needed to establish their effectiveness in upper limb motor rehabilitation of stroke. The development of magnetic resonance imaging (MRI) is a success story for basic research. Today medical diagnostics would be inconceivable without it. But the research took time to reach fruition: it has been nearly half a century since physicists first began their investigations that ultimately led to what became known as nuclear magnetic resonance. In 2001, Nikos K. Logothetis and his colleagues at the Max Planck Institute for Biological Cybernetics in Tübingen devised a new methodological approach that greatly deepened our understanding of the principles of functional MRI. The great advantage of functional magnetic resonance imaging (fMRI) is that it requires no major interventions in the body. In fMRI, the human body is exposed to the action of electromagnetic waves. As far as we know today, the process is completely harmless, despite the fact that fMRI equipment generates magnetic fields that are about a million times stronger than the natural magnetic field of the earth. The physical phenomenon underlying fMRI is known as nuclear magnetic resonance, and the path to its discovery was paved with several Nobel prizes. The story begins in the first half of the 20th century with the description of the properties of atoms. The idea of using nuclear magnetic resonance as a diagnostic tool was mooted as early as the 1950s. But the method had to be refined before finally being realised in the form of magnetic resonance imaging. Today, MRI not only produces images of the inside of our bodies; it also provides information on the functional state of certain tissues. The breakthrough for fMRI came in the 1980s when researchers discovered that MRI can also be used to detect changes in the oxygen saturation of blood, a principle known as BOLD (blood oxygen level dependent) imaging. There is a 20 percent difference between the magnetic sensitivity of oxygenated arterial blood and that of deoxygenated venous blood. Unlike oxygenated haemoglobin, deoxygenated haemoglobin amplifies the strength of a magnetic field in its vicinity. This difference can be seen on an MRI image. Resuscitation of the brain after a 15-minute cardiac arrest in fMRI: The pictorial representation provides information about the degree of damage of the brain as well as a detailed analysis of the recovery curve. The top three rows are examples of successful and the bottom row for an unsuccessful resuscitation. The comparison with the concentration images of ATP, glucose and lactate shows that the MR images are in fact closely related to the biochemical changes. Based on such studies, the course of cerebral infarction and the success of various therapeutic measures can be documented. Credit Max Planck Institute. fMRI has given us new insights into the brain, especially in neurobiology. However, the initial phase of euphoria was followed by a wave of scepticism among scientists, who questioned how informative the “coloured images” really are. Although fMRI can in fact generate huge volumes of data, there is often a lack of background information or basic understanding to permit a meaningful interpretation. As a result, there is a yawning gap between fMRI measurements of brain activity and findings in animals based on electrophysiological recordings. This is due mainly to technical considerations: interactions between the strong MRI field and currents being measured at the electrodes made it impossible to apply the two methods simultaneously to bridge the gap between animal experiments and findings in humans. In 2001, Nikos Logothetis and his colleagues at the Max Planck Institute for Biological Cybernetics in Tübingen were the first to overcome this barrier. With the help of special electrodes and sophisticated data processing, they showed unambiguously that BOLD fMRI actually does measure changes in the activity of nerve cells. They also discovered that BOLD signals correlate to the arrival and local processing of data in an area of the brain rather than to output signals that are transmitted to other areas of the brain. Their paper was a milestone in our understanding of MRI and has been cited over 2500 times worldwide. Their novel experimental setup enabled the Tübingen scientists to study various aspects of nerve cell activity and to distinguish between action potentials and local field potentials. Action potentials are electrical signals that originate from single nerve cells or a relatively small group of nerve cells. They are all-or-nothing signals that occur only if the triggering stimulus exceeds a certain threshold. Action potentials therefore reflect output signals. These signals are detected by electrodes located in the immediate vicinity of the nerve cells. By contrast, local field potentials generate slowly varying electrical potentials that reflect signals entering and being processed in a larger group of nerve cells. Applying these three methods simultaneously, the Max Planck researchers examined the responses to a visual stimulus in the visual cortex of anaesthetized monkeys. Comparison of the measurements showed that fMRI data relate more to local field potentials than to single-cell and multi-unit potentials. This means that changes in blood oxygen saturation are not necessarily associated with output signals from nerve cells; instead, they reflect the arrival and processing of signals received from other areas of the brain. Another important discovery the Tübingen researchers made was that, because of the large variability of vascular reactions, BOLD fMRI data have a much lower signal-to-noise ratio than electrophysiological recordings. Because of this, conventional statistical analyses of human fMRI data underestimate the extent of activity in the brain. In other words, the absence of an fMRI signal in an area of the brain does not necessarily mean that no information is being processed there. Doctors need to take this into account when interpreting fMRI data.